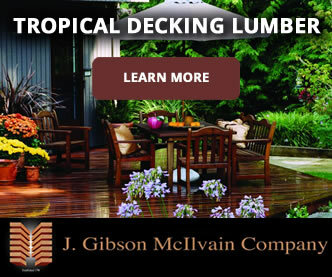 While Ipe remains the top-of-the-line tropical hardwood decking species, other species such as Cumaru and Red Balau are excellent options as well. 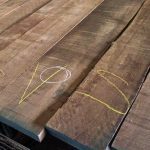 In the same family as Meranti and Philippine Mahogany, this species from the Shorea genus is an excellent decking choice. 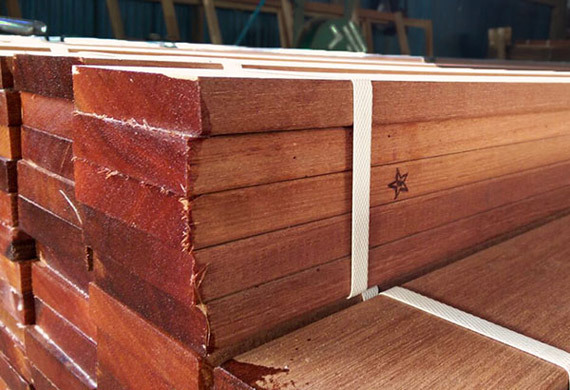 Growing across a wide area spanning Indonesia, Malaysia, the Philippines, and Thailand, Red Balau has been marketed as a decking product for many years, due to its optimal resistance to rot and insects. Its color varies from a reddish brown to a yellowish straw-like color. 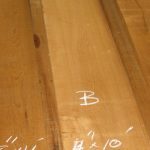 This species — like Ipe and other extremely dense species — can be difficult to work with and can even blunt tools. The silica content that promotes such issues is also part of what makes this species so durable. Red Balau stains, glues, and finishes well. 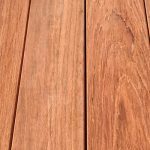 One of the benefits of Red Balau, as opposed to other tropical decking species such as Cumaru and Ipe, is a high degree of color consistency. Its tight grain and extremely small pores reduce the appearance of striping and raised grain which some other tropical hardwood decking species exhibit. Defect-free boards with beautiful, rich coloring set this species apart from many others. 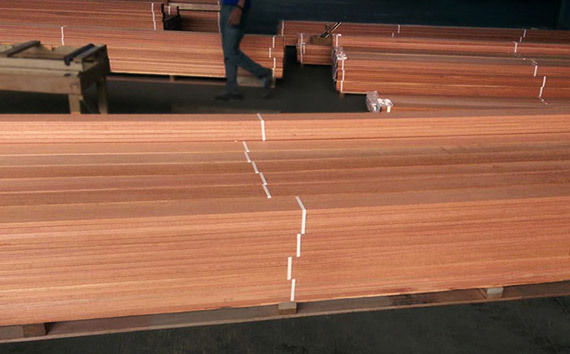 Since its price point is a fraction of Ipe and Cumaru, Red Balau is definitely an excellent option to consider! When you add in the lower level of waste involved, you stand to save even more with Red Balau. 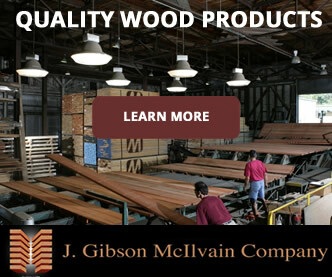 At J. Gibson McIlvain, we carry 5/4 boards in 6-inch width and 4/4 boards in 4-inch width, both in a variety of lengths and eased on 4 edges (E4E) and surfaced on 4 sides (S4S). 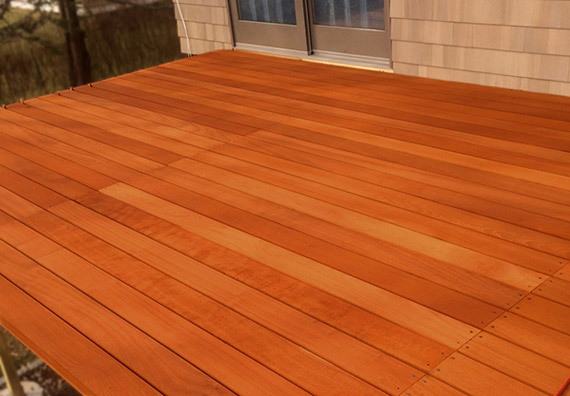 You can also choose from grooved boards, ready for hidden fasteners, or un-grooved, ready for face-screwing, We also carry a selection of oil, sealant, clips, and screws that you’ll need to complement your Red Balau decking lumber in order to complete your build. Because the Red Balau we carry here at J. Gibson McIlvain is all part of a specific species within the Shorea genus, we can offer you an extremely consistent color match that many other suppliers cannot. 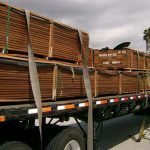 Shipment by shipment, board by board, we can ensure a remarkable degree of quality and consistency. Another unique characteristic of the Red Balau we carry is that all of ours comes from sustainable forests and carries FSC certification. As an Importer of Record, we make sure to visit all the mills from which we purchase Red Balau to make sure their practices from the stump to the ship are completely sustainable and responsible. 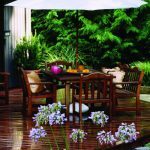 We can also provide you with documentation needed to qualify for LEED points on your build and can provide installation recommendations that are particular to this fabulous decking species.